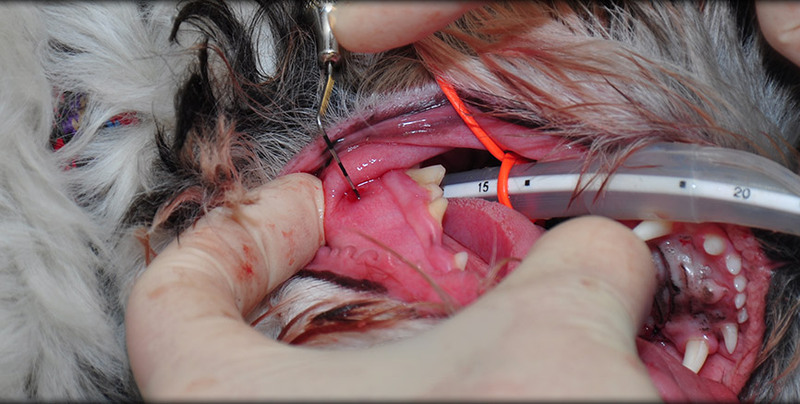 Periodontal disease is one of the most common dental conditions we see in dogs and cats. We are committed to early detection and treatment before periodontal disease can cause severe problems and pain for your pet. Periodontal disease starts with plaque that hardens into tartar. Tartar above the gum line can be seen and removed with ultrasonic scaling, but plaque and tartar below the gum line cannot be visualized. The plaque below the gum line leads to infection and damage to the jawbone and the tissues that connect the tooth to the jaw bone. Studies suggest up to 80% of dogs have periodontal disease by the time they are three years old. Periodontal disease causes discomfort for your pet and needs to be treated properly by a professional. 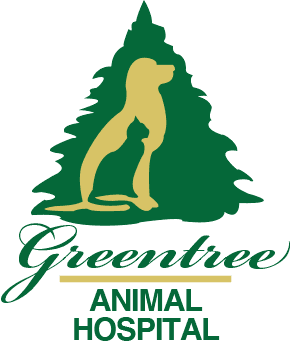 At Greentree Animal Hospital, we treat periodontal disease through annual dental exams, digital x-rays and professional cleanings when necessary. Should your pet develop advanced periodontal disease, we may recommend periodontal surgery, gone grafts or open root planing.